Lina used her sharp eyes and spotted an unlisted e-car charger here in Visby. One of the brand Clever. Exciting! The only payment option was rfid cards, I’m not thrilled of the prospect of having another card to keep track of. But anyway.. There was no mention of pricing on the charger, or their website. So I sent a quick mail to their support with the most basic of questions: cuanto cuesta? As an indication of how new this market is, They called me just a few minutes later, good customer service! 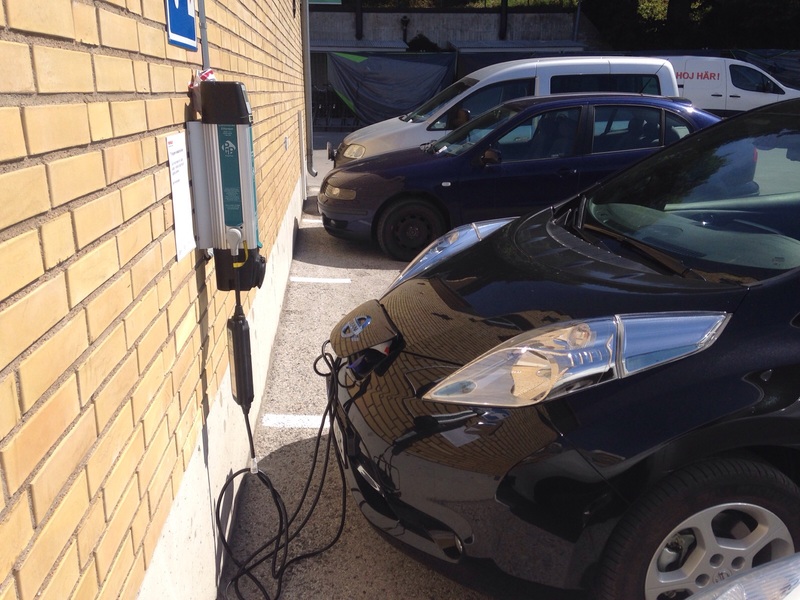 – they are brand new, the charger in Visby is their only one in operation. 04 Aug This entry was written by Martin, posted on August 4, 2015 at 2:04 pm, filed under Electric car. Bookmark the permalink. Follow any comments here with the RSS feed for this post. Both comments and trackbacks are currently closed.